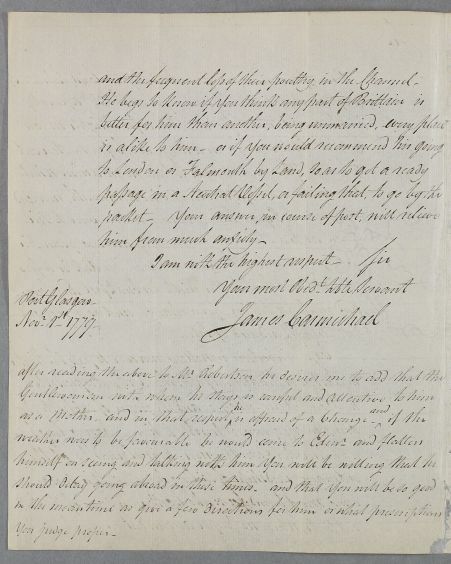 Letter from James Carmichael concerning Captain Robertson who is arranging to go south for his health but has fears about sailing at this time of year and because of the risk of capture by the Spanish or French who had become formal allies of Revolutionary America. 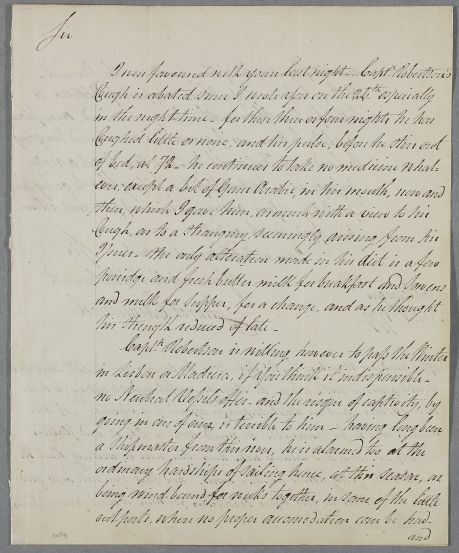 Summary Letter from James Carmichael concerning Captain Robertson who is arranging to go south for his health but has fears about sailing at this time of year and because of the risk of capture by the Spanish or French who had become formal allies of Revolutionary America. 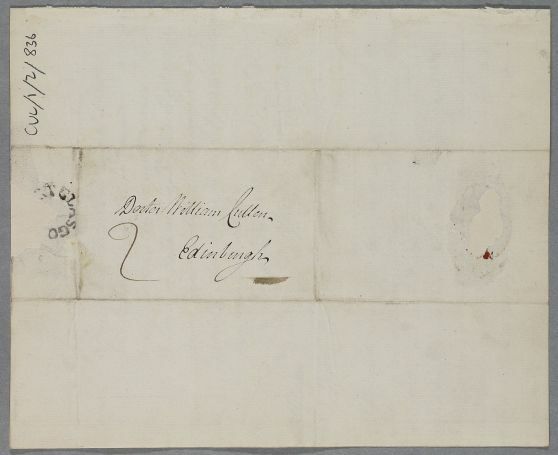 Case of Captain John Robertson who has a 'chronic catarrh'. his strength reduced of late. in Lisbon or Madeira, if You think it indispensible. out parts, when no proper accomodation can be had. and the frequent loss of their poultry in the Channel. 1: By the Spanish or French who had recently declared a formal alliance with Revolutionary America with whom Britain was at war. 2: A packed-boat was a scheduled service between ports, originally carrying the post, but also used by paying passengers.